Never leave your inner sanctum without them! 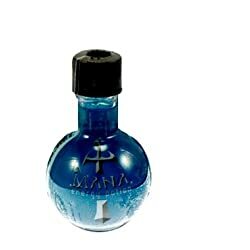 Mana Energy Potion (50mL) Whenever I venture out of my mage tower, I am always sure to carry a couple of these potions in my belt pouch. As a modern day wizard, it is vital that I keep my mana pool full at all times. There is no telling when I will be assaulted by kobolds, hobgoblins, or Scientologists while exploring the rolling vistas and dark dungeons.